Figs are, in my opinion, one of the worlds most beautiful fruits I have no idea why it took me so many years to try one. It wasnt until last year that I tried my very first fig and now whenever I get a chance, I buy as many as I can. So, the last time I was at the market and saw fresh figs for sale I bought enough to last me a while! Naturally, Ive been enjoying them with chia puddings like the ones you see above and below. Fig pairs perfectly with chocolate, cacao nibs, and pistachios, but last night I came up with another delicious flavour combination. Blend coffee and protein powder together. Once mixed, add chia seeds to coffee mixture. Allow to set for at least 30 minutes, but the longer is better. I always allow my chia puddings to set overnight. 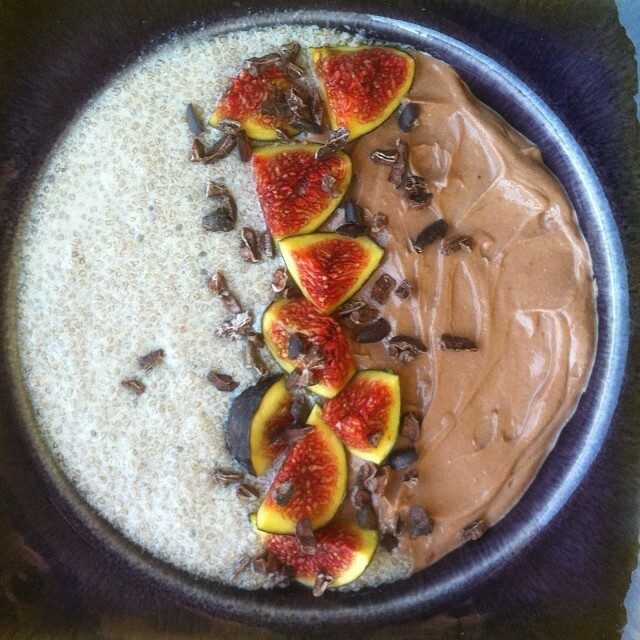 When ready to serve, top chia pudding with chopped figs and cacao nibs. Enjoy! 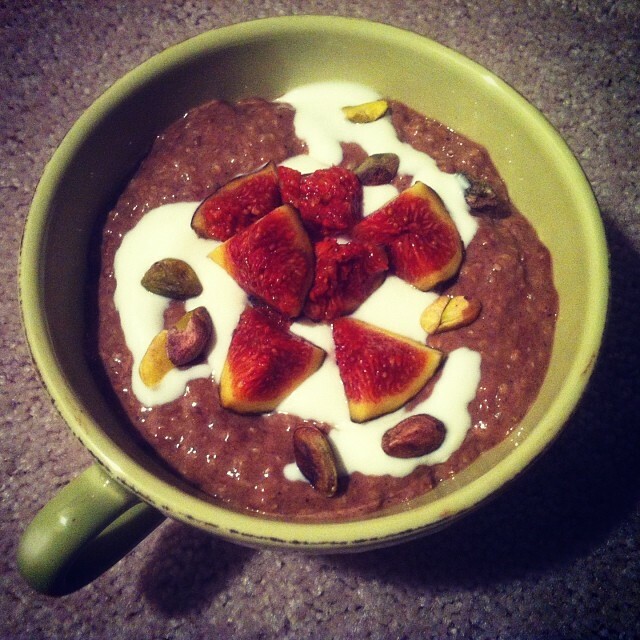 This was my first time making a coffee chia pudding, but it most definitely wont be the last. It was absolutely delicious and a nice change from my go to chocolate or vanilla flavours. 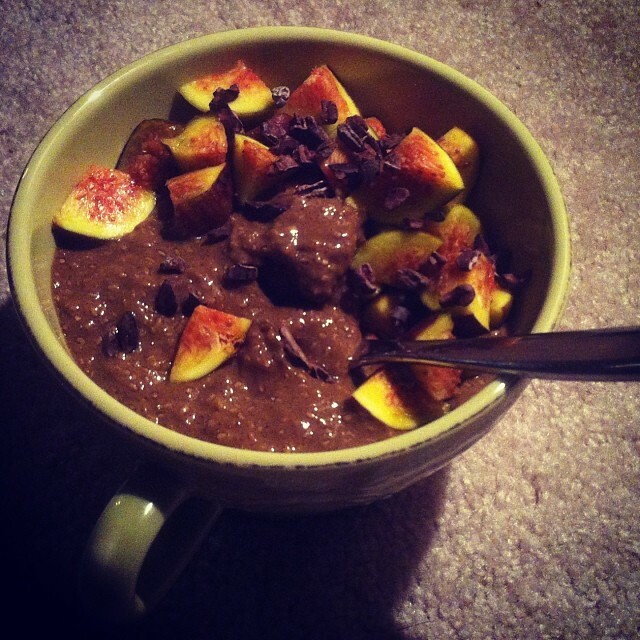 I was debating whether or not to pair this coffee chia pudding with banana or figs, but Eddie suggested figs. He thought it was a better match and he was most definitely right. Figs are a good source of fibre, potassium, manganese, iron, and vitamins B6, A, and C. They are also delicious, so I love including them in my diet.